Your eating habits determine who you are. Because your health is also responsible for your mood, not only your circumstances. That said, if you have been feeling down lately, that is a call for adding more mood-boosting foods to your diet. If you are not already a fan of lentils, you better become now. This is because lentils are complex carbs that promote the production of serotonin in the brain. This means that your state of mind becomes happier and calmer by consuming lentils. Lentils also improve your mood by keeping your blood sugar levels stable. Moreover, lentils increase iron which can up your energy levels. They are rich in folate as well, a deficiency of which can lead to depression. Chocolate gives a noticeable boost to your mood. Research shows that chocolate consumption reduces the markers of stress hormones such as cortisol. Eating chocolate also release endorphins which decrease stress and pain. There are more than 300 chemicals in chocolate and several of these encourage the release of neurotransmitters that make one feel better on an emotional level. One of these chemicals is serotonin, the happy hormone. However, keep in mind that binging on chocolate can make you gain weight, which can become a reason for worrying. 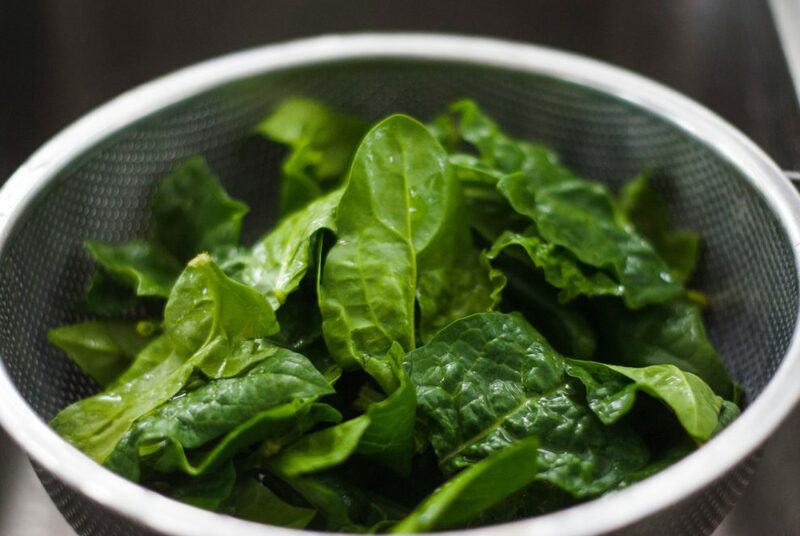 This leafy green is what gave Popeye his energy, so you must be knowing that it holds many benefits for your health. Spinach can keep your vitamin B markers up. A lack of vitamin B has been associated to depression. Low levels of vitamin B can also become an obstacle in the production of serotonin. Spinach also contains magnesium which can boost your mood by having a positive impact on your serotonin levels. The folic acid and antioxidants in spinach also are mood-boosters. You must have heard how omega-3 fatty acids can provide an array of benefits to your health including warding off depression and giving your mood a thumbs up. Walnuts come with a high content of omega-3 fatty acids. These fatty acids also promote brain health. The antioxidants in walnuts are also linked to better cognitive functionality. Walnuts can also decrease anger and they replace B vitamins as well that influence mood positively. If you’re aware of how a balanced gut health and brain activity are linked, you would know how your mood can benefit from this dairy product. Yogurt contains probiotics that can balance the good and bad bacteria in the gut. A balanced gut health equates to better mental health. It also means stress and mood-related disorders are combated and your mood is improved as well. What’s more, yogurt contains some peptides, vitamin D, and calcium, like other dairy products, that can promote calmness.